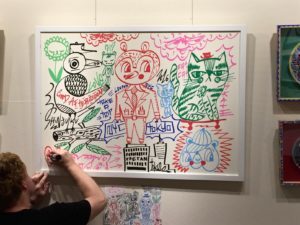 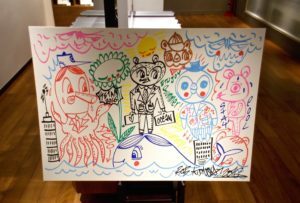 Live drawing at Isetan department store. 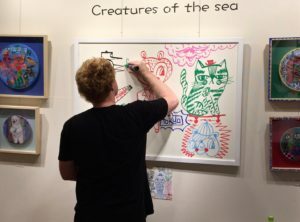 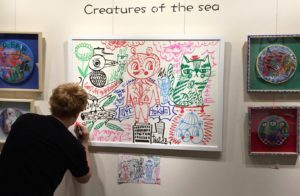 As part of the ‘Creatures of the sea’ exhibition at Isetan department store in Shinjuku.I was asked to do some live drawing/signing on Sunday 19th of June. 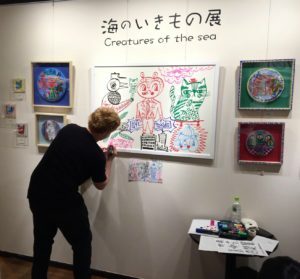 I did two pieces,each one took under 15 minutes. 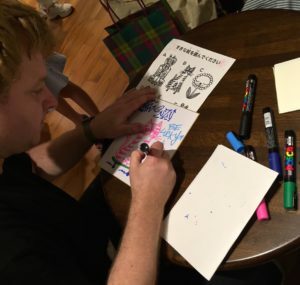 It was really good fun and it’s always a pleasure to meet some of the people who have purchased my art and customise their piece with a personal message.